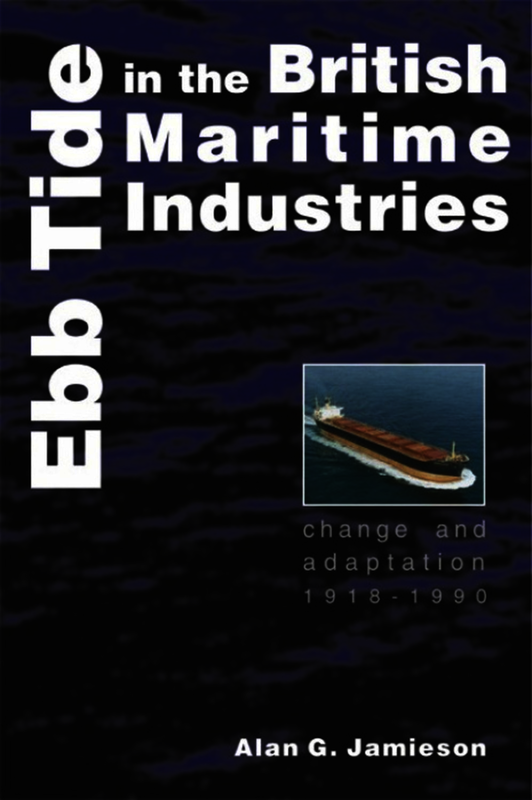 This book examines how the principal British maritime industries - shipping, shipbuilding and ports - adapted, or failed to adapt, to a changing world in the period 1918 to 1990, and discusses their reactions to the great opportunities seemingly offered by offshore oil and gas from the mid-1960s. At the outbreak of World War I, Britain's maritime industries still dominated the world. The British merchant fleet was by far the largest in the world, the nation's shipbuilding output eclipsed all rivals, and British ports were busy and expanding. By 1990, British shipping was a shadow of its former self, shipbuilding seemed on the verge of total collapse, and although the ports had been modernised, trade was concentrated at only a few of them. For almost four centuries, these industries had been of vital importance to Britain's wealth and power, but by 1990, politicians scarcely gave them a second thought. Alan G. Jamieson is Leverhulme Research Fellow in British Maritime History in the Centre for Maritime Historical Studies, University of Exeter. While many might take issue with his somewhat fatalistic conclusions, there is no doubt that Mr Jamieson has produced a very readable and fact-rich account of the decline of British maritime power and it provides a stimulating and challenging overview of the demise of Britannia’s rule. This book is produced to the usual high standard of the University of Exeter Press publications. The book is recommended to all who seek authoritative facts and reasoning on its subject. They will go far to find a better survey. This book is a rare animal, namely a broad work of synthesis. Maritime history as a sub-discipline is strong on highly-specialist and tightly-focussed research, rather less so on this kind of work: we need more of it. Jamieson has done a good job in ‘zooming out’ here … While established specialists in the field will no doubt regard it as a useful and interesting work, those looking for a broader coverage will find, as I did, that this is a splendid ‘one-stop-shop’, saving them several inches of bookshelf space … I commend it to everyone except nostalgic Brits with suppressed suicidal tendencies. ... the text is supported by a good index, an extensive and up-to-date bibiliography and reference to wide-ranging primary sources. The production standards are high, although this reader would prefer footnotes to endnotes, and the cover price is reasonable.